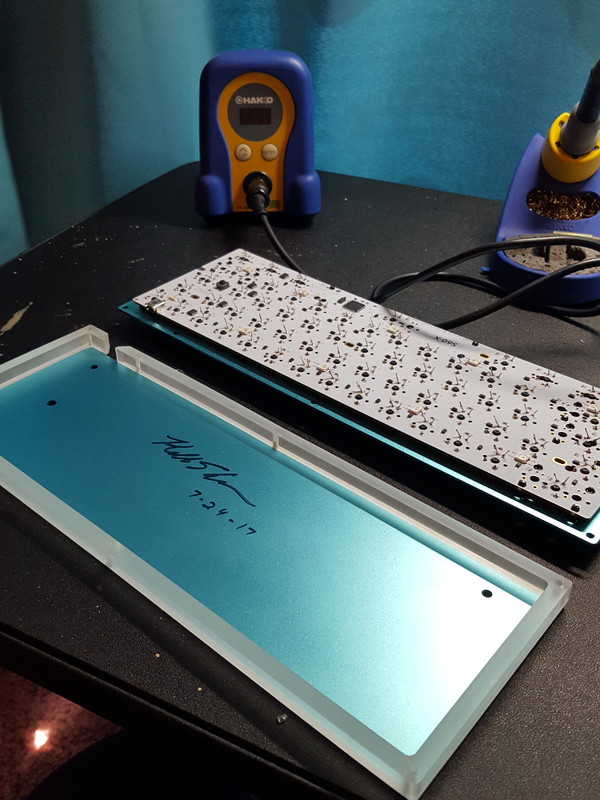 I got all of the parts in and sat down the other night to build my keyboard. Here's how it went. 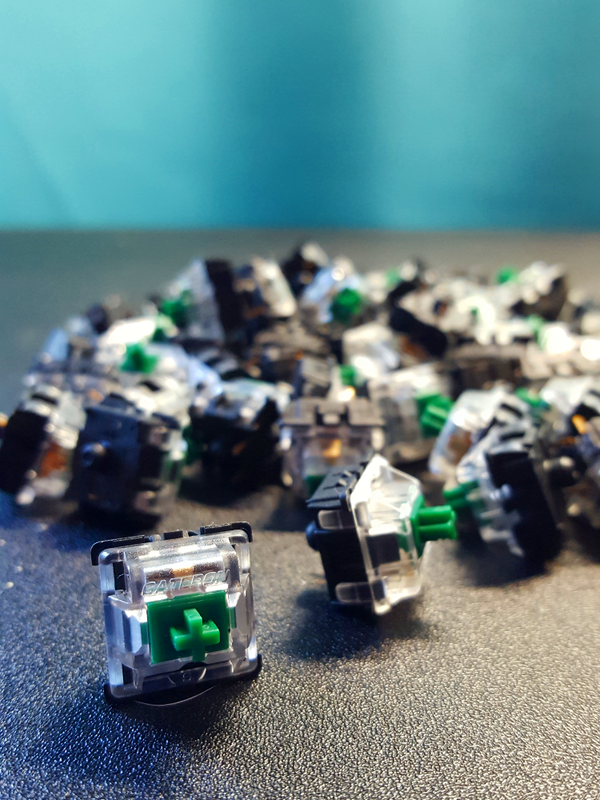 Gateron green switches because I wanted to try something heavier than Cherry MX blues. 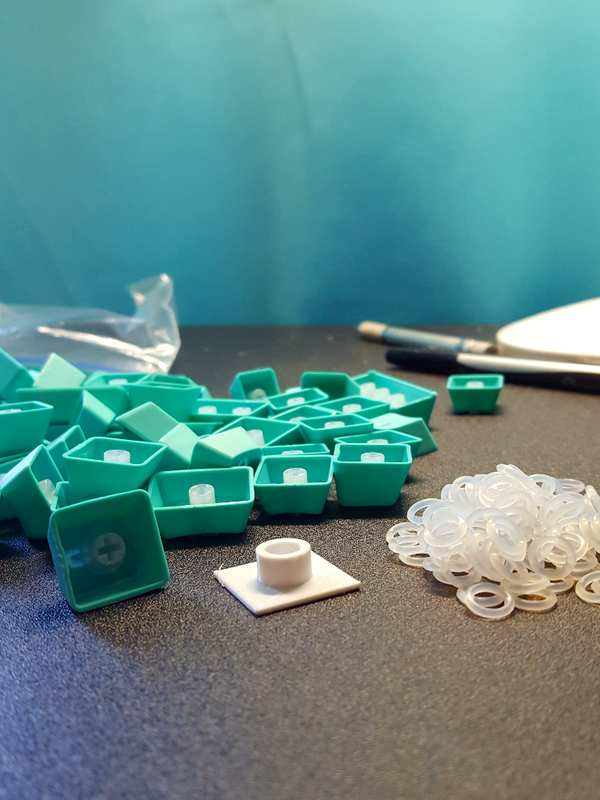 Other assorted parts; LEDs, stabilizers, o-rings for the keycaps. I clipped, lubed, and assembled the stabilizers. Then mounted them on the PCB. 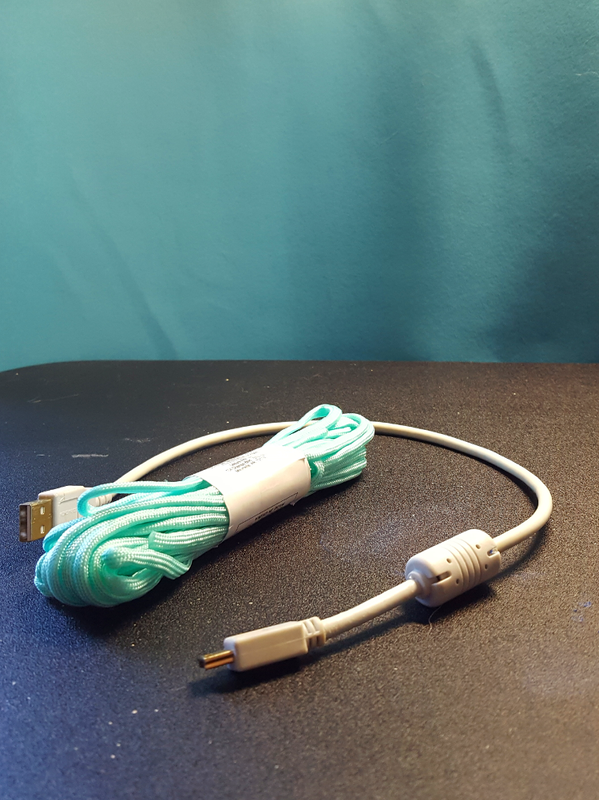 Before diving in to the soldering, I decided to wrap the cable with this matching paracord I found for $2 at WalMart. 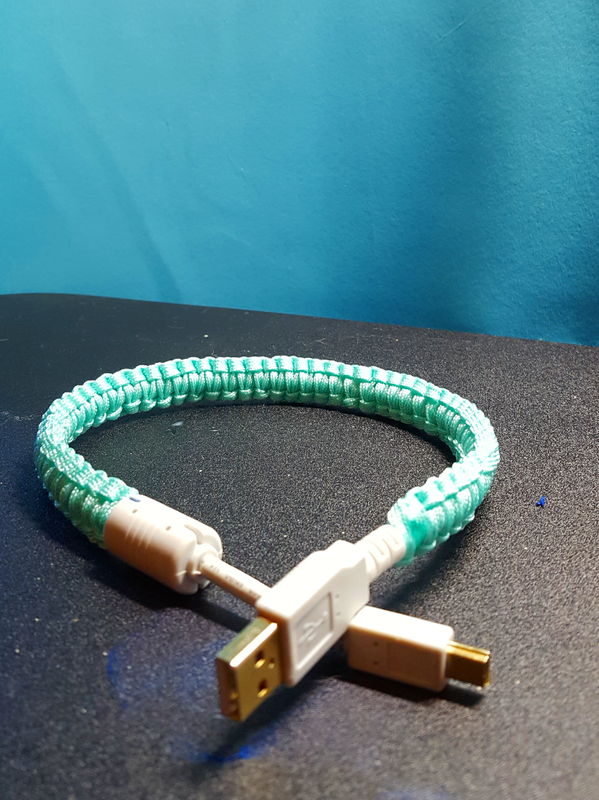 I gutted the paracord so it would be less bulky. I think it turned out pretty good. 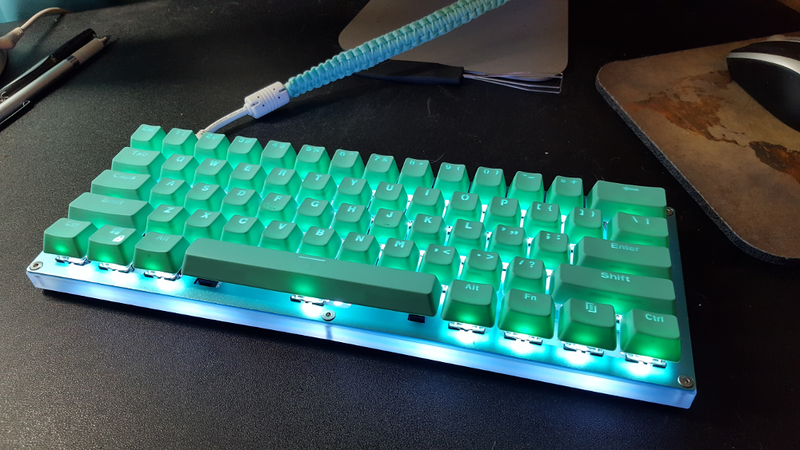 While I was doing little stuff, I decided to go ahead and put the o-rings in the keycaps. I 3D printed a little doo-dad to make this a bit faster/easier. 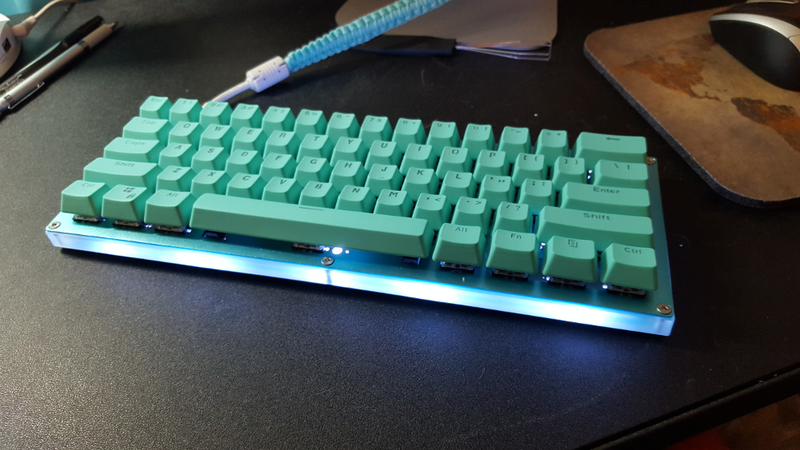 Speaking of key caps, the quality on these was better than I expected from cheap Chinese key caps. 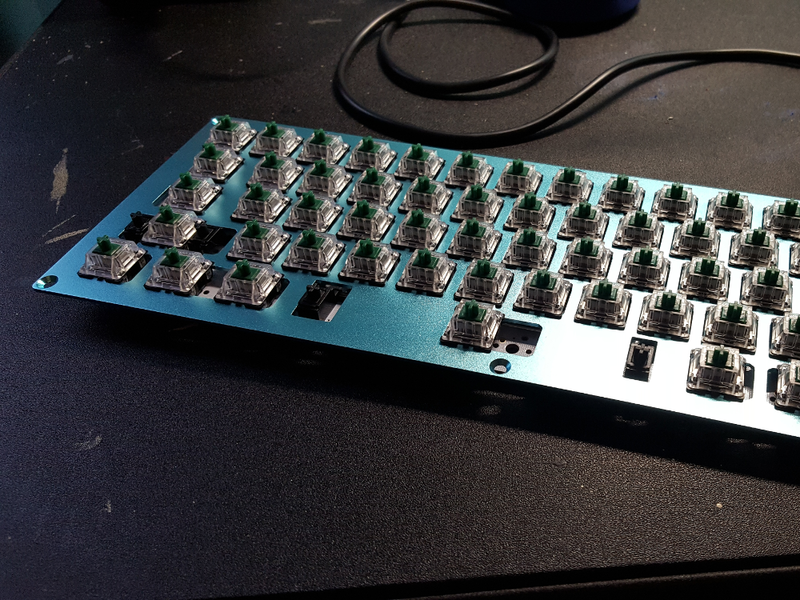 I had to clean off a bit of flash from a couple of keys, but there's no warping, misprinting, or defects. 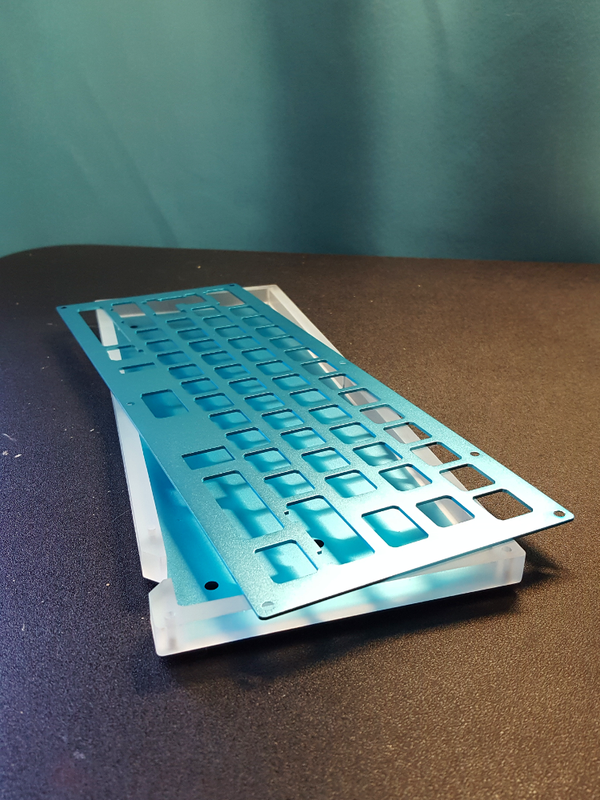 The plastic is thin but PBT and it has a nice texture. Then, no more putting it off, it was time to solder. I started by putting in a few switches along the edges of the plate. 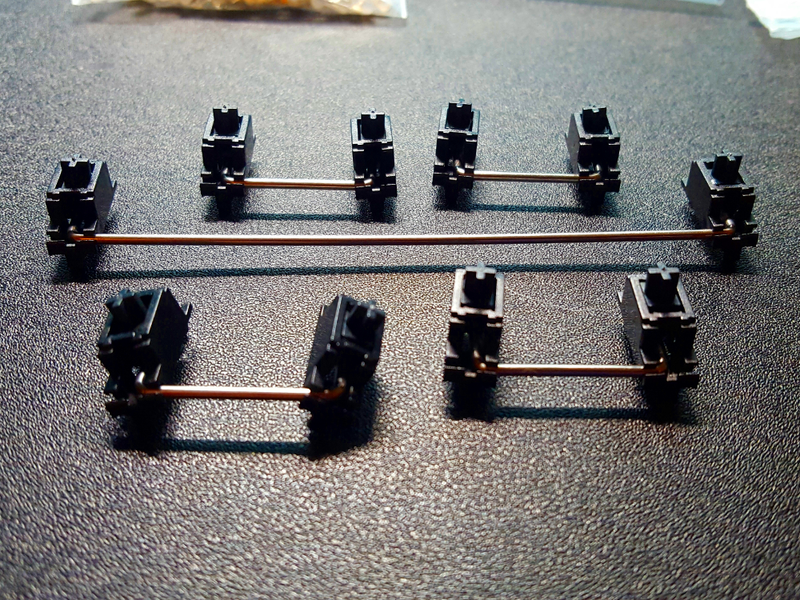 Then soldered those into place to hold the PCB firmly. Once that was done, it was just a matter of doing the rest. 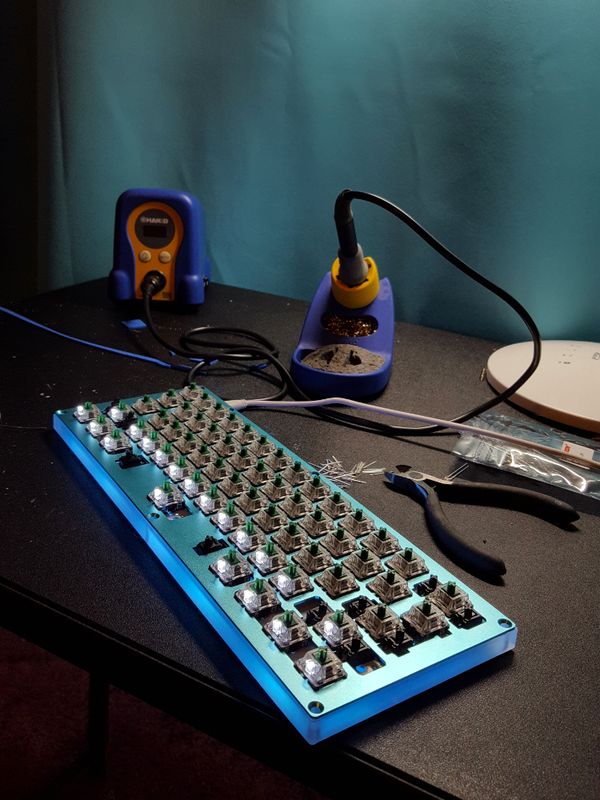 After I had all of the switches soldered, I decided to plug it in and test them, and also flash my custom keymap so I could easily test lights. 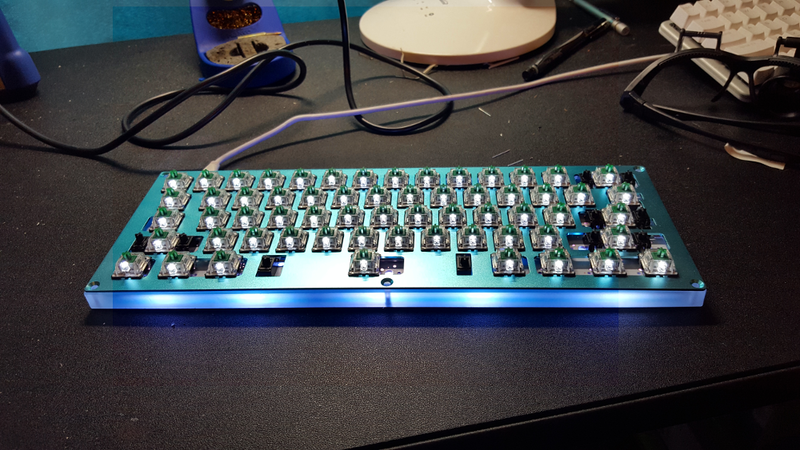 Next, I started on the LEDs. These were harder for me to see, so I stopped after doing a couple of rows and tested them to make sure everything was going OK.
Then I did the rest! I did put one in backwards, because I must have momentarily stopped paying attention (d'oh), but I was able to desolder and replace it without too much difficulty. I signed and dated the inside of the case, because why not? 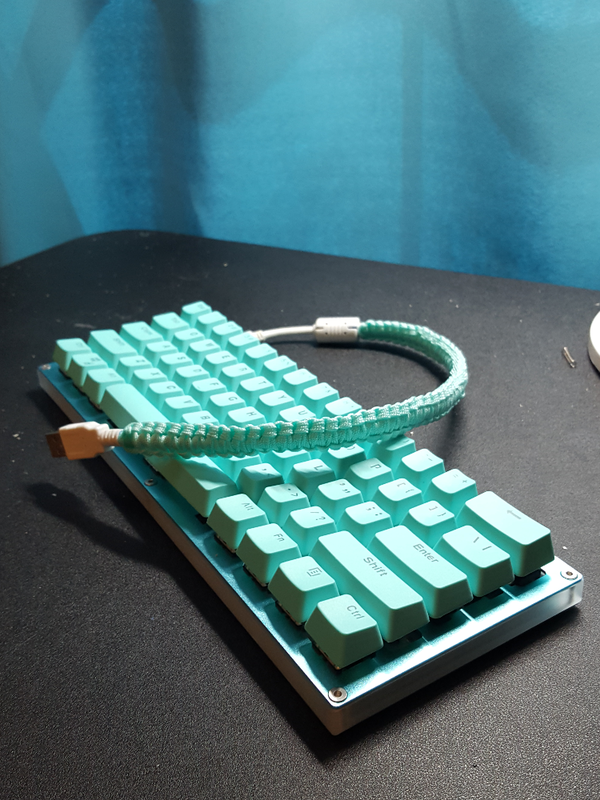 Then I put it all together and put the caps on. Here's the assembled board! 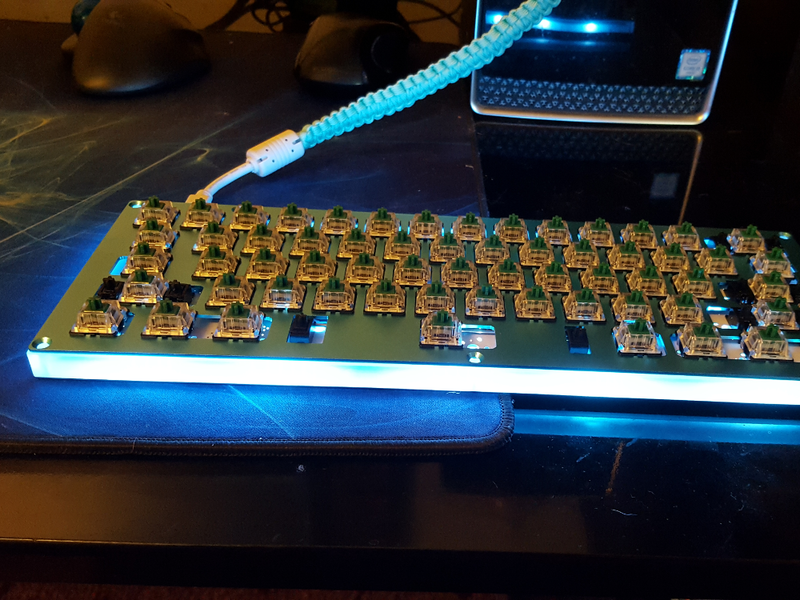 Here it is hooked up, with just the backlighting turned on (note that there are several different lighting modes and the underglow lights are RGB). And here it is with all the lights on. The LEDs are on medium brightness in this picture. 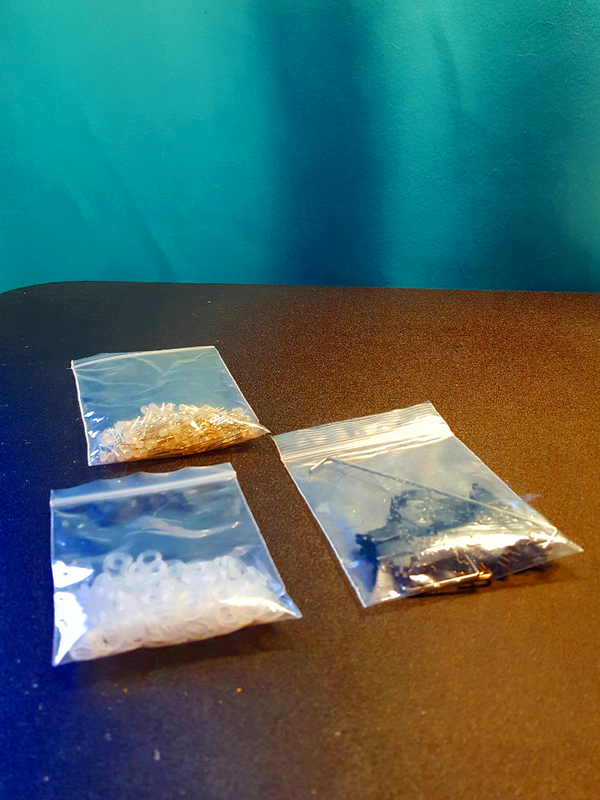 I had to desolder and replace an LED, which required waiting a couple of days for a new solder sucker to arrive. 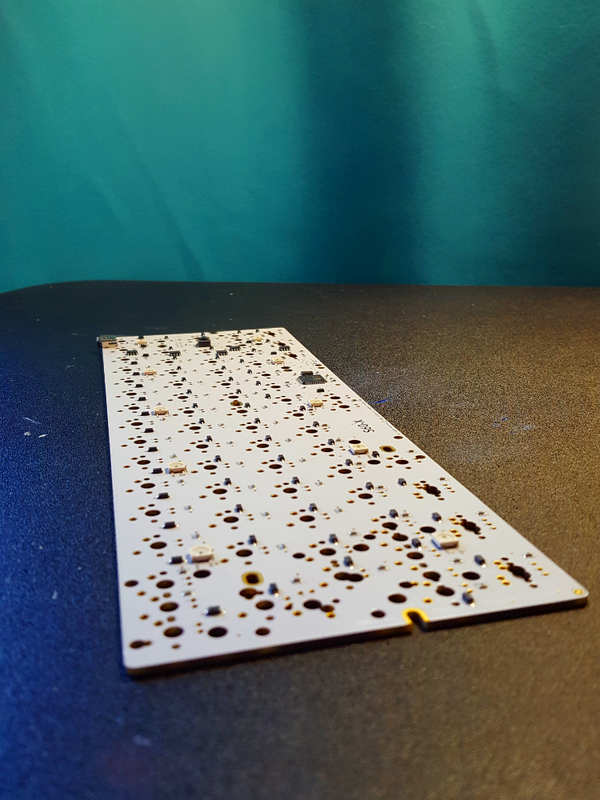 One of the PCB mounted stabilizers actually came apart when I tried to take off the space bar (I'd put it on upside down) and that was a pain. 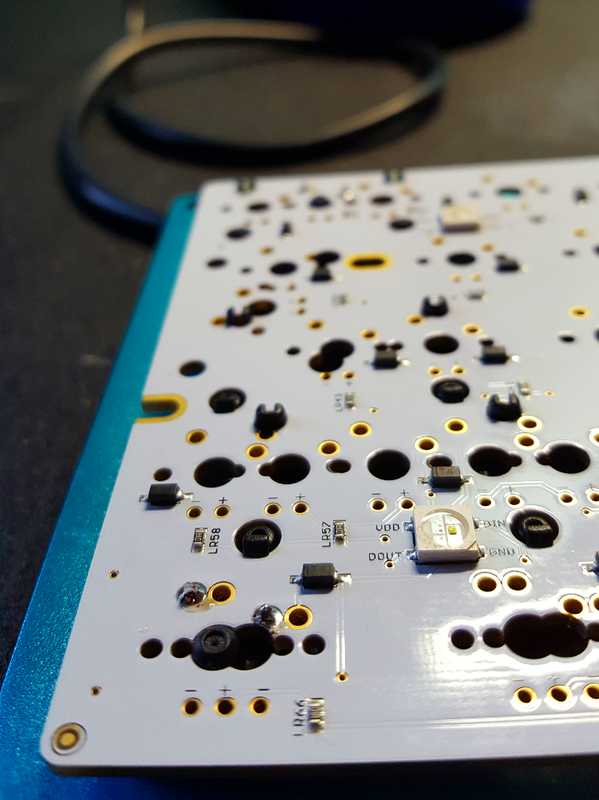 I managed to wiggle and twist and get the insert back in without desoldering every switch and light on the board, so that was a huge relief. 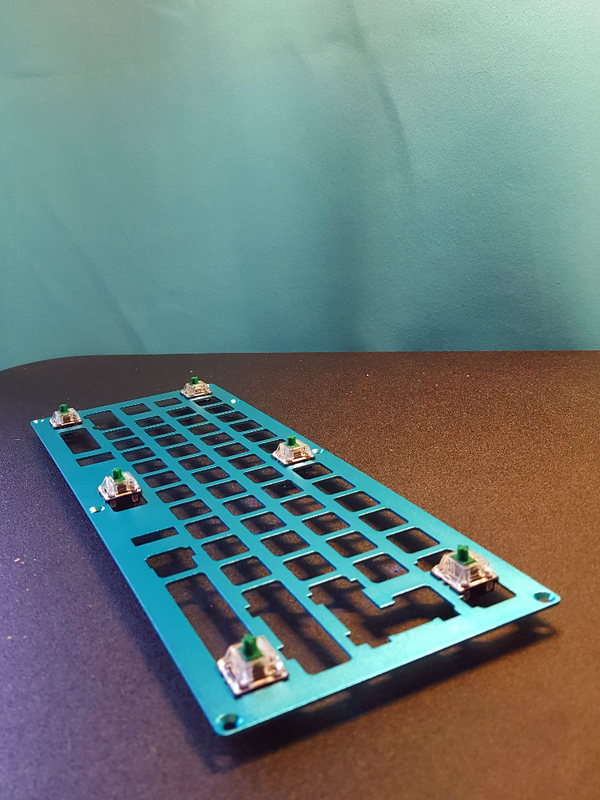 Two of the LEDs went out after I put the board into the case, but it turned out that it was just because I hadn't trimmed their leads short enough, so they were touching the metal bottom plate of the case and shorting out. So that was a simple fix. 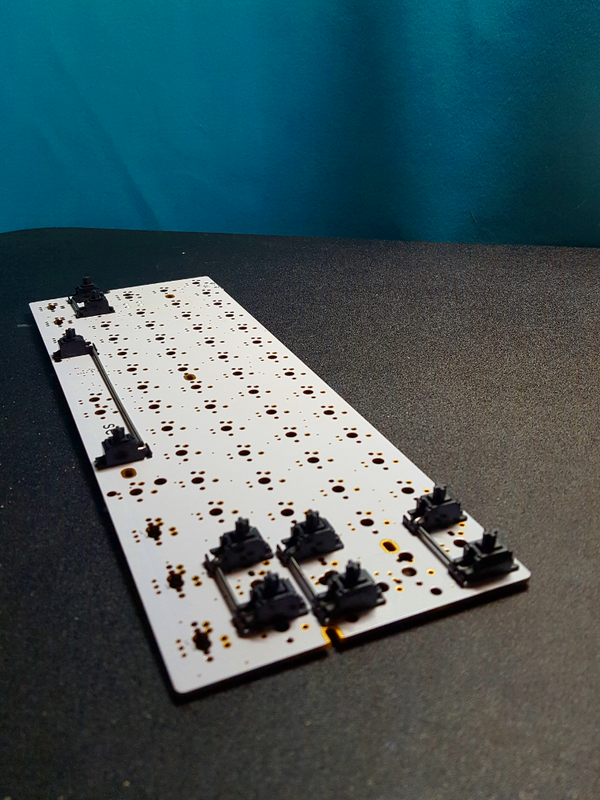 I'm still waiting on a pair of aluminum feet to raise the back of the board, but those should arrive in a day or two. All in all, a fun project that I learned a lot from, mostly due to it being an exercise in patience.